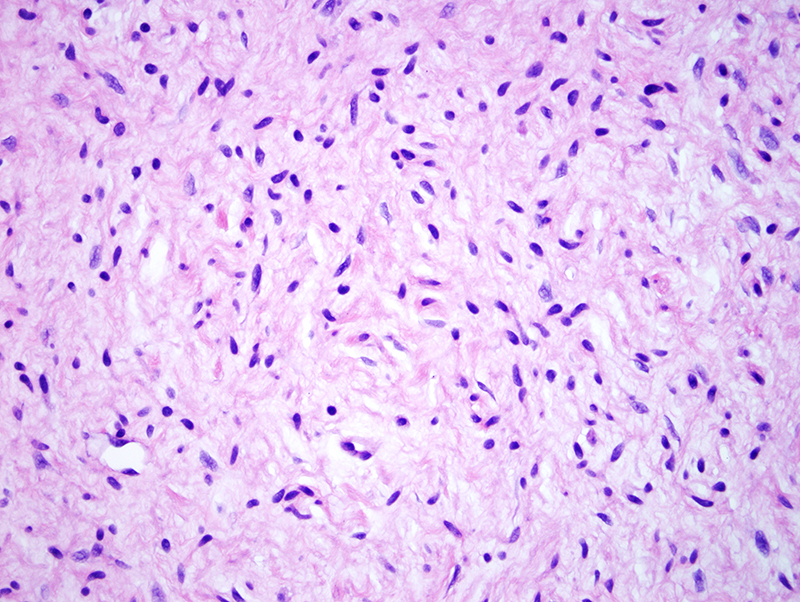 Neurofibroma is a benign nerve sheath tumor composed of a mixture of Schwann cells, perineurial cells and fibroblasts. They can be sporadic or arise in association with neurofibromatosis. 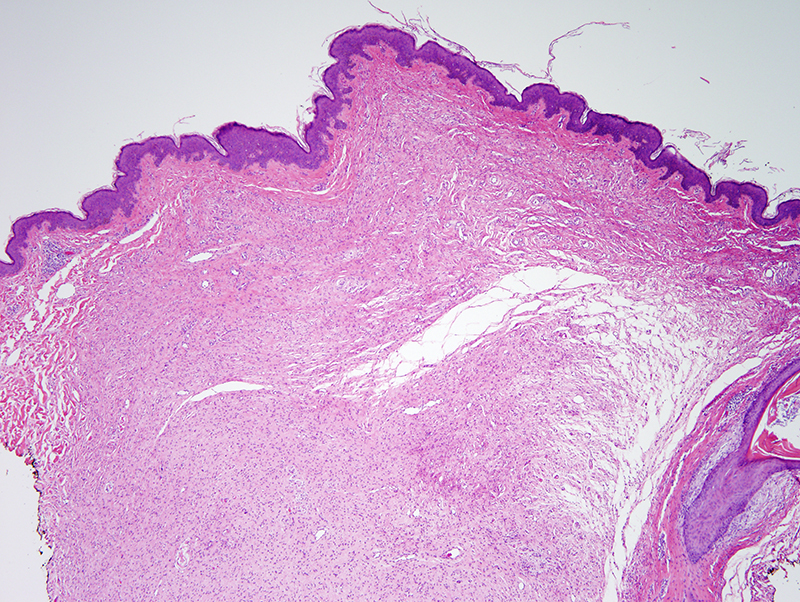 Cutaneous lesions are flesh colored, soft and present as papules or nodules. 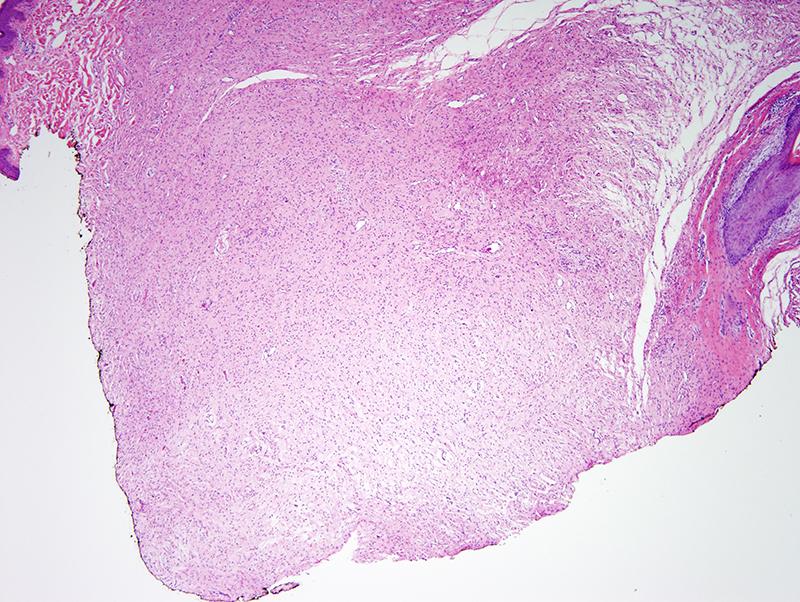 They constitute the most common type of benign tumor encountered in patients with type I neurofibromatosis. 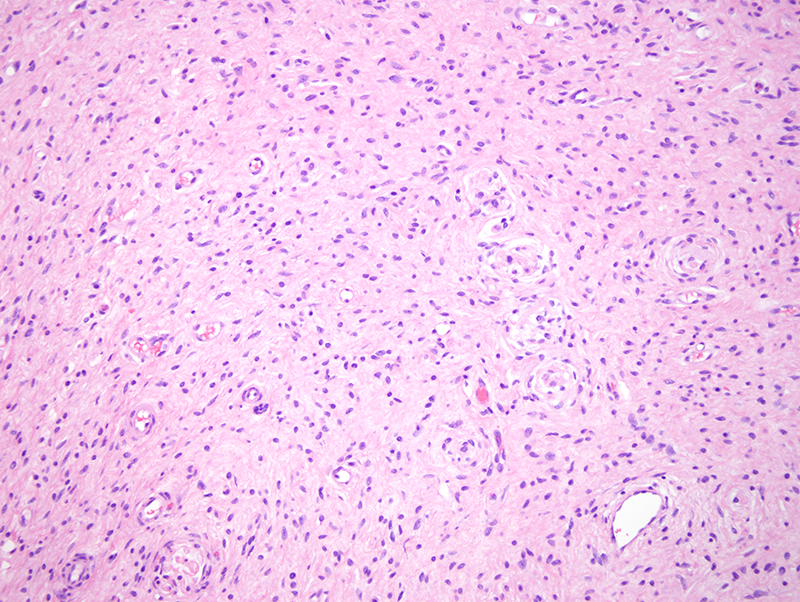 Cutaneous neurofibromas are benign but can be excised for cosmetic purposes.